The conveyor technology sector places special demands on polyurethane material. 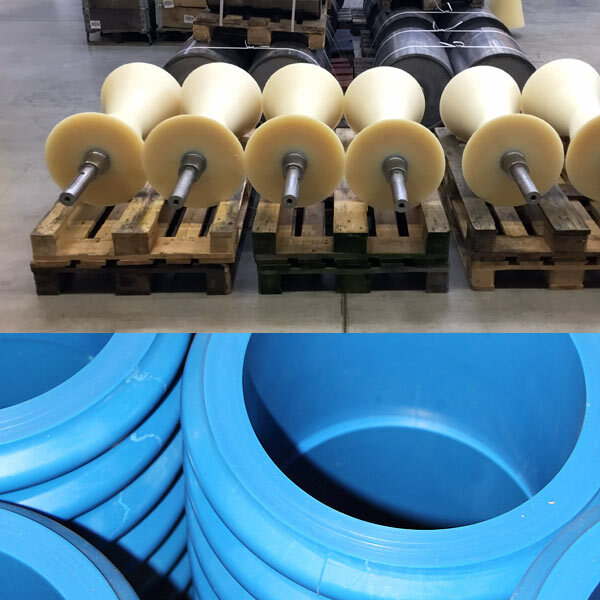 The conveyed goods or conveyor belts and other work equipment must be handled with care during the transport process, and at the same time the polyurethane products involved in the process must be abrasion- and wear-resistant.  Our products are thus always optimised in terms of abrasion resistance, since the work required to replace a support ring, for example, is a far greater cost factor than the support ring itself. Electrostatic charges may occur during the transport of bulk materials. With our PurAntistat material, this can be reliably prevented and thus offers protection against uncontrolled deflagration or explosions.